Until the late 1800s, looking down from atop Cedar Hill you would have seen little more than a countryside landscape divided by an unkempt dirt road. The hillside known as Cedar Glen hosted few travellers aside from farm wagons and, later, visitors to the springs resort at the foot of the hill. 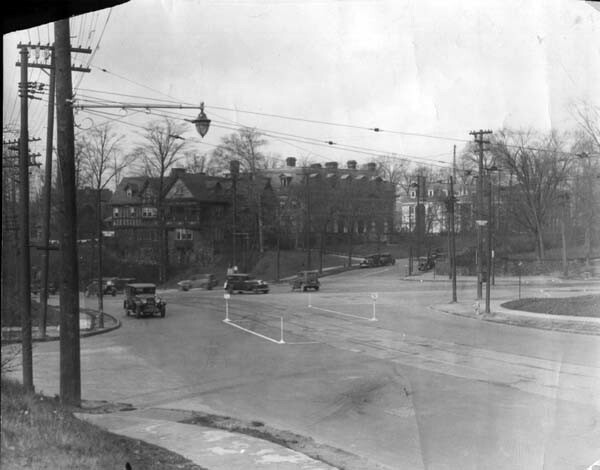 In less than a century, this scene would be replaced by one of a busy, six-lane road as Cedar Glen became the biggest gateway to the Heights from the city of Cleveland. One of Cedar Glen's most salient characteristics is its gradual rise in elevation. The western edge of the Portage Escarpment causes this natural formation. The Portage Escarpment not only divides the Allegheny Plateau and the Great Lakes Basin, but also acts as a boundary between Cleveland and its suburban "Heights" to the east. Originally the eastern part of Cedar Glen and the high ground to which it leads belonged to East Cleveland Township. 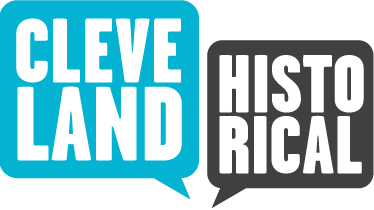 When Cleveland Heights incorporated as a village in 1903, it engulfed the southern part of East Cleveland Township, which included farmland and Cedar Glen. Another natural feature that, for a time, made Cedar Glen a well-known area was Doan Brook, which was piped and buried underground in 1929. In the early 1800s, bluish grey sandstone called Euclid bluestone was quarried along the brook. The hard sandstone was used for everything from laundry tubs to sidewalks. Later in the century Doan Brook again brought attention to Cedar Glen. Dr. Nathan Hardy Ambler was a former dentist and the owner of the Cedar Glen property through which Doan Brook passes on its way from Shaker Lakes to Lake Erie. Although the blue-green water tasted like sulfur, Ambler began bottling and selling it to local restaurants. Because patrons believed the water offered health benefits and hydrotherapy was becoming a popular treatment method, Ambler and his partner Daniel O. Caswell opened the Blue Rock Spring House in Cedar Glen. The water resort and sanitarium operated from 1880 until 1908 when popularity began to fade. 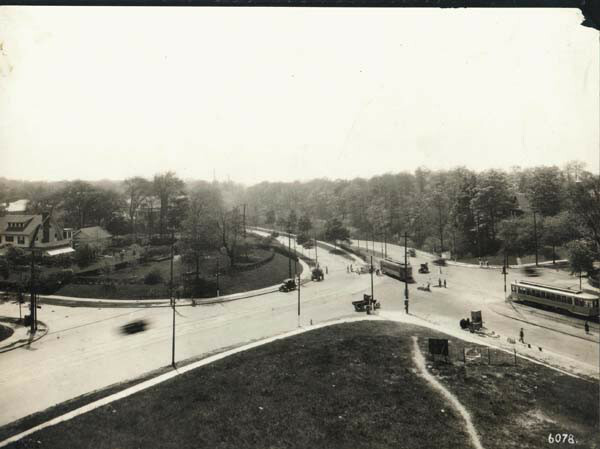 Cedar Glen began its transition to one of Cleveland's most important transportation gateways from the suburbs in 1896 when entrepreneur and suburban developer Patrick Calhoun donated a large tract of land to the city's park system. One of the conditions of the gift was that Calhoun would be permitted to run a double-line street railway through Cedar Glen. 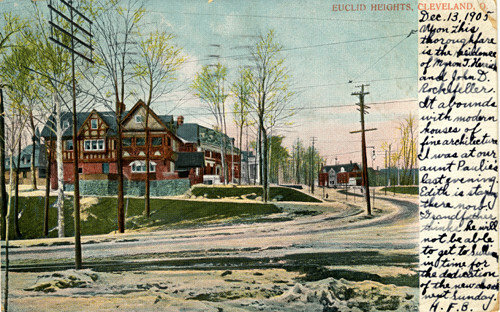 Construction began that fall on the street railway that was intended to bring passengers to and from Euclid Heights and Ambler Heights, prestigious residential allotments on the "Overlook." The increase in suburban residents and visitors made possible the construction of the Cedar Fairmount retail district at the top of the hill. 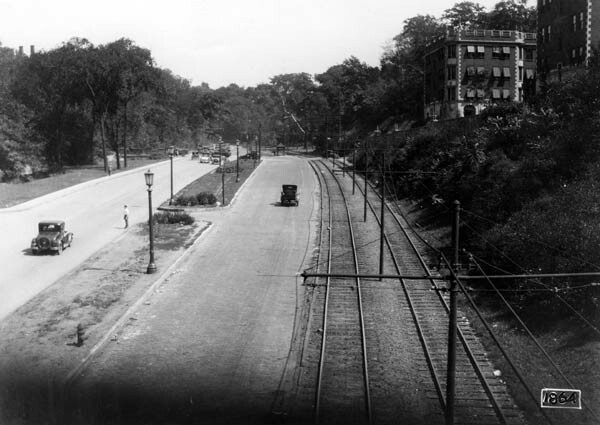 By the 1920s Cedar Glen was bustling with heavy streetcar and automobile traffic. 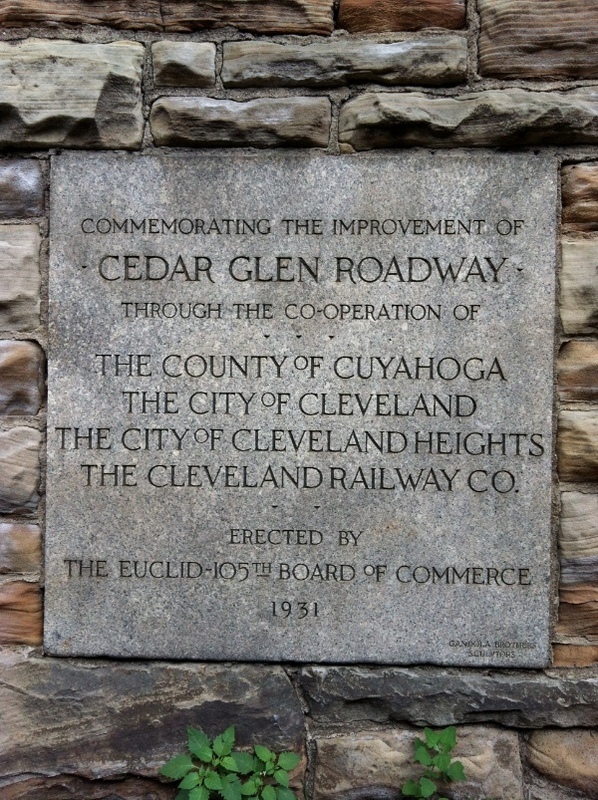 At the end of that decade a tunnel and platform were built on the western end of Cedar Glen in conjunction with the construction of the Cleveland Union Terminal, further connecting Cleveland Heights to its urban neighbor. 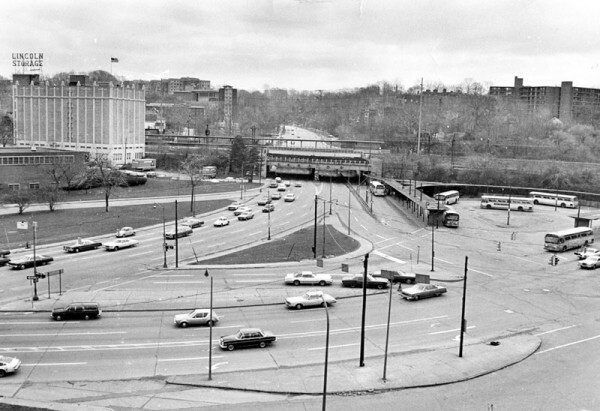 In the mid 1950s Cleveland Transit Service (CTS), the predecessor of today's RTA, built the University Circle Rapid Transit Station at the same location on the bottom of Cedar Glen where the tunnel was constructed twenty-five years earlier. Completely transformed from its onetime status as a barren, dirt road, Cedar Glen now remains a well-traveled gateway to and from Cleveland. 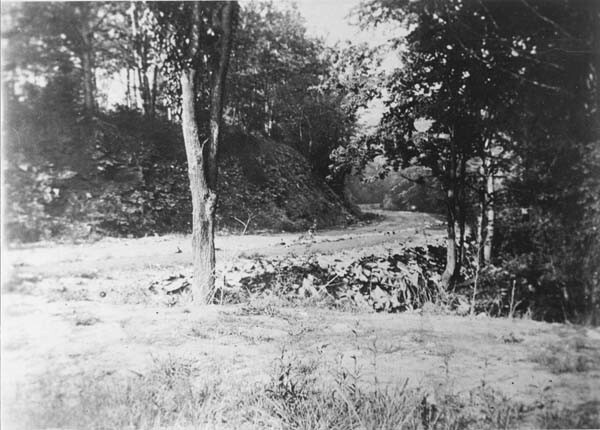 Cedar Glen at Ambleside, 1930: The view from Cedar Glen Parkway looking east toward Ambleside Drive has changed drastically since this picture was taken over eighty years ago. The now six-lane road is no longer divided by a grassy partition, and the street railway lines are now gone. However, the building at the upper right is still visible from the road. Image courtesy of Cleveland State University. Michael Schwartz Library. Special Collections. Ambler Heights, ca. 1900: This color postcard gives an idea of the natural scenery that once graced the hillsides of Cedar Glen. Ambler Heights became a leading suburban residential allotment by 1900, attracting families of wealth with its promise of crisp air and scenic delights. Image courtesy of Cleveland State University. Michael Schwartz Library. Special Collections. Cedar Hill Traffic, ca. 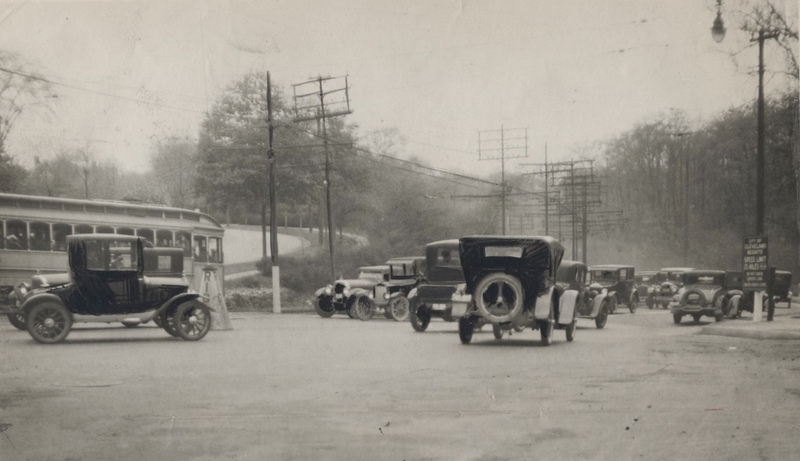 1920s: As early as the 1920s, Cedar Hill experienced heavy vehicular and streetcar traffic. In this scene looking westward from the top of the hill, Harcourt Drive's curvature is visible at left. Harcourt was the most prominent entrance to the Ambler Heights allotment. Salmon Halle of the Halle Bros. department store lived in a large Harcourt Drive mansion located just outside this picture to the left. Image courtesy of Cleveland State University. Michael Schwartz Library. Special Collections. 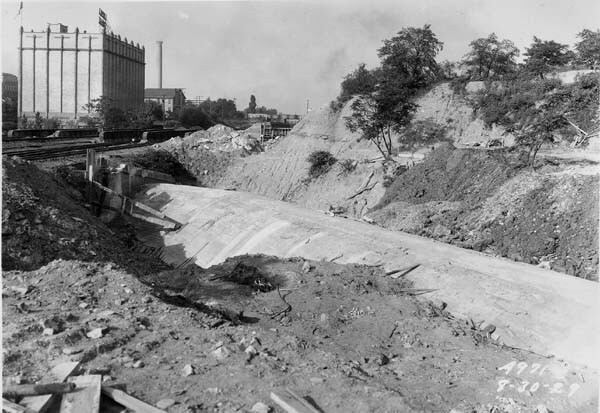 Doan Brook Culvert, 1929: Newly piped, Doan Brook is buried beneath Cedar Glen in University Circle. The Lincoln Storage building is visible at left. Image courtesy of Cleveland State University. Michael Schwartz Library. Special Collections. 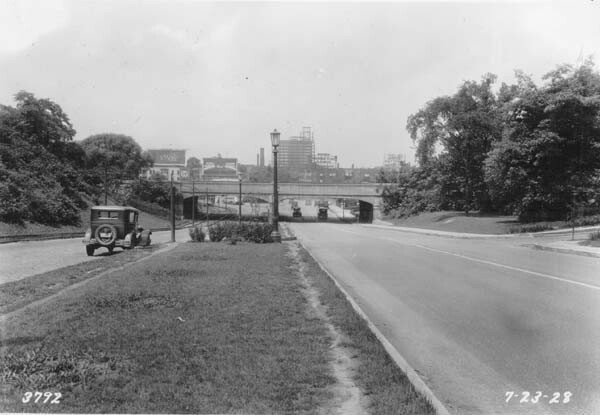 Cedar Glen Parkway, 1928: In this early view of Cedar Glen Parkway, the New York Central (Nickel Plate) Railroad bridge serves as a visual gateway out of Cleveland Heights into Cleveland. The steel superstructure of the new Cleveland Club (later Tudor Arms Hotel) looms on the horizon beyond. Image courtesy of Cleveland State University. Michael Schwartz Library. Special Collections. Nickel Plate Railroad, 1957: The Nickel Plate Railroad begun in 1881 and was intended to be a direct line from Cleveland to Chicago. The railroad existed until 1964 when it merged with Norfolk and Western Railroad. 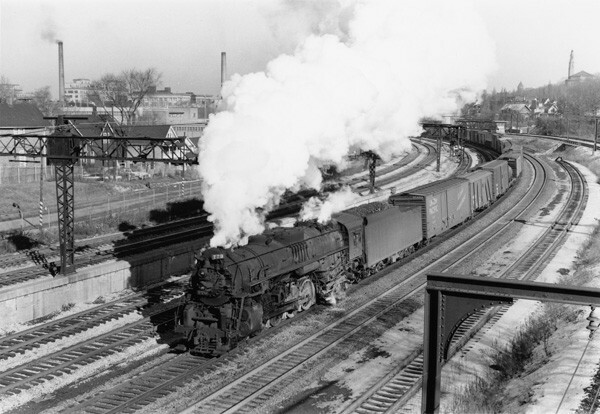 Operating out of the Cleveland Union Terminal, Nickel Plate Railroad traveled through Cedar Glen to and from the city center. Image courtesy of Cleveland State University. Michael Schwartz Library. Special Collections. Bottom of Cedar Hill, 1977: Cedar Glen Parkway meets Cedar and Carnegie Avenues, forming a busy intersection at the bottom of Cedar Hill. The University Circle Rapid Transit Station and RTA buses are visible at the right. The station was built in the mid 1950s. The overpass over Cedar Glen was built in 1929 and redone as a part of the new station's construction. Image courtesy of Cleveland State University. Michael Schwartz Library. Special Collections. Dennis Coughlin tells about the time he canoed from Cedar Fairmount down to University Circle during a 1966 flood. 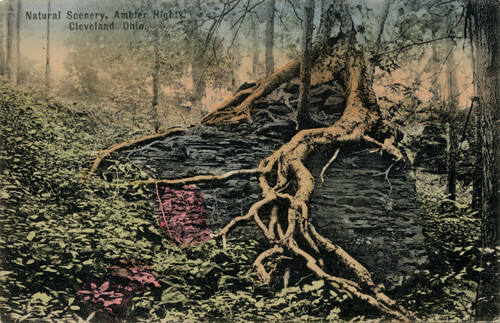 Heidi Fearing, “Cedar Glen,” Cleveland Historical, accessed April 19, 2019, https://clevelandhistorical.org/items/show/547. Published on Aug 30, 2012. Last updated on Apr 18, 2017.